Buda’s motto is “breathe easy here,” and the city provides the places to do just that. If antiquing is your thing, there are a handful of shops downtown with all kinds of rare collectibles at bargain prices. The city is also famous for its amount of parkland per person; fortunately these lovely green spaces also have the quality to match the quantity. Entertainment, live music, karaoke, arcade games, and world-class racing can all be found in and around town. If you just want to enjoy some good food and drink, Buda has you covered. The following are some of the top attractions in Buda. There’s no telling what rare items you’ll come across in this unique shop that derives its name from the year its building was constructed. Part mercantile and part museum, the store holds books, old records, kitschy election pins, action figures, hardware, and much more. Even if you don’t need to hit up the pharmacy, you’ll want to swing by the Buda Drug Store for a soda from an original soda fountain and some old-fashioned candy. Enjoy it in a scene straight from the 1940’s, complete with marble countertops and an antique apothecary. The Buda location of this famous American outdoors retailer sports a stocked aquarium, lots of amazing taxidermy, and an indoor archery test area. Grab a snack at the Fudge & Nut shop while you shop for some binoculars and hiking boots to use on your next trip to Stagecoach Park. Located just minutes from Buda in south Austin, Circuit of the Americas is home to some of the most exciting events in racing. From the X Games to MotoGP to the only Formula 1 race in the U.S., the circuit will meet your need for speed, and then some. It also welcomes megastar musicians like Taylor Swift and Maroon 5 to its stage throughout the year. City Park is the hub of community events in Buda (like the famous Buda wiener dog races), located in the heart of downtown. Its seven beautiful acres contain a playground with rock wall, picnic tables and benches, barbecue pits, and a pavilion with two basketball courts that is available for rent for special events. Get lost in nature on the trails of this lovely 51-acre nature park, which also includes a pavilion, amphitheater, playground, and pond. Inside you’ll find the McElroy-Severn Stagecoach House and Onion Creek Post Office, landmarks commemorating mail services from the late 1800’s. It’s also the site of the Buda Trail of Lights, a Christmas lights display held each December. The little kick flippers and shredders in your family will love this skate park that was completed in 2013. They’ll be able to practice their moves on a half-pipe, ramps, bank gaps, stairs with rails and grind benches, and ledges. The Jardine’s name is synonymous with salsa in Texas, having established itself over its 30-plus years as a producer of the tasty sauce, as well as dips, rubs, and marinades. Save room in your suitcase for at least one jar from their general store. Go nuts on one of the largest classic arcade and pinball collections in the state, or chow down on some great bar-style food at the in-house tavern of this fun center. You can also play laser tag or catch live music at the Dragon’s Den outdoor bar and stage on the weekends. Don’t let the humble digs fool you. Shugabee’s turns out the kind of succulent brisket and pulled pork other barbecue joints can only dream of. The homemade flour tortillas that come with your meat can hang with the best output of any Tex-Mex kitchen you’re likely to find. 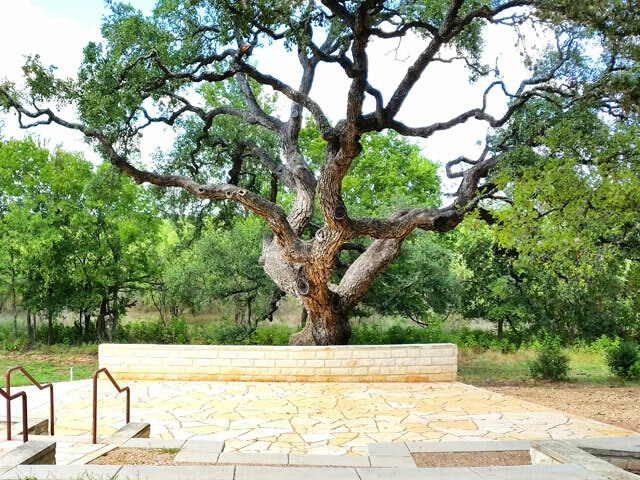 Grab a beer and relax under the oak trees at Willie’s Joint, which serves up Texas barbecue and homemade Big Red ice cream. Special events run constantly, from open mic nights to ping pong tournaments and karaoke jams.